WikiLeaks has released a seventh tranche of emails from Hillary Clinton's campaign chair, John Podesta, comprising over 1,000 emails. The latest leak follows the release of around 9,000 emails via the WikiLeaks website, including messages highlighting Hillary's email scandal, Wall Street connections, and handling 'backroom deals'. Earlier leaked emails suggested that Clinton knew Islamic State (IS, formerly ISIS/ISIL) received “clandestine”support from Saudi Arabia and Qatar – both major allies of the US in the Middle East. They also showed that in 2013, Clinton admitted that the largest share of donations to the Clinton Foundation came from abroad, and that the new DNC chair leaked Bernie Sanders’ campaign strategy plans to the Clinton campaign. 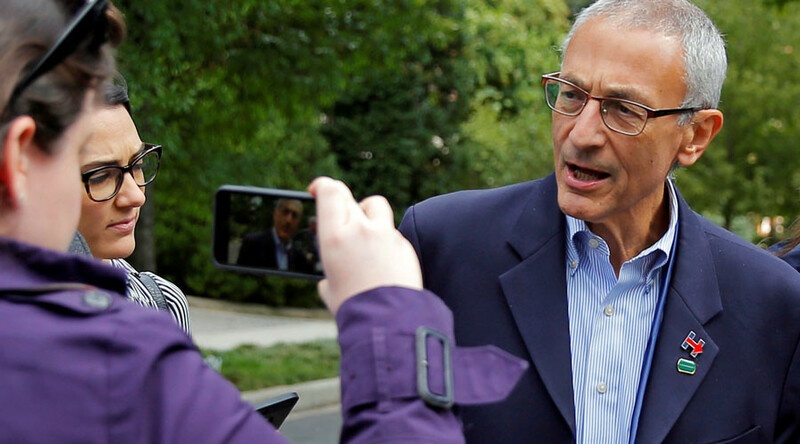 Podesta’s Twitter account and new email account were hacked on Wednesday after the fifth WikiLeaks email release. The new releases include further details on handling Hillary’s email scandal, as well as the hearing by the House Committee on Foreign Affairs into the 2012 attack on the US embassy in Benghazi. In a 2015 email sent to Podesta about Hillary’s Benghazi hearing, the sender suggests turning the focus from Clinton to the “Congressional Republicans” and their “totally skewed and misplaced priorities”. “I believe this challenge could be potent enough to garner a headline – and have Hillary Clinton stand up for Americans rather than for herself while putting Republicans much further on the defensive,” the email reads. It wouldn’t be a Hillary leak without a mention of the infamous email scandal. While discussing possible responses for Clinton’s traveling press secretary Nick Merrill, campaign spokesman Brian Fallon writes “in preparation for the possibility that the State Department may acknowledge as soon as today that there were 16 Sid [Blumenthal] emails missing from the 55k pages of material produced by HRC”. In one email chain, Podesta recommends staging “an intervention” to deal with a New York Times reporter’s queries about ‘gig’ economy companies - companies that hire short-term or temporary workers. In May 2015, Clinton’s director of communications Jennifer Palmieri emailed national finance director Dennis Cheng to complain about media leaks. The leaks concerned Clinton reportedly doing meetings for the Democratic Super PAC, Priorities USA. In emails from late January, Clinton’s message to voters was described as being “tone death [sic] on what is happening in the country” by a leading political strategist critiquing her “core message”. Responding to a request to review Clinton’s performance in the fourth Democratic debate with Bernie Sanders, Stan Greenberg warned Podesta that their run for the White House was “badly positioned”. Assessing the Town Hall debate in Iowa on January 26, the political pollster explained how Clinton’s campaign team needed to keep up with Sanders’ crusade for “change”. He compared Clinton to a “grown-up lecturing… young people” and advises she transition from talking about her past. Greenberg counts former UK prime minister Tony Blair, Bill Clinton and Nelson Mandela among his past clients. At the time of the Iowa face-off, Clinton’s lead over Sanders in polls across the US was reported to be shrinking by a number of media outlets. 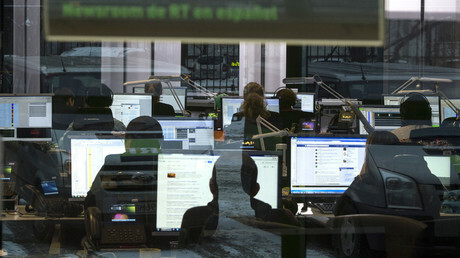 For or against government hacking? In December 2015, after the third Democratic debate in New Hampshire, Clinton’s staff worked to untangle her message on the government’s ability to hack into encrypted communications, championed by FBI Director James Comey as a key part of fighting terrorism. “I actually do believe there is a way to thread the needle here,” Goff said, adding that “it requires us to quickly pivot from encryption to the broader issue of working with tech companies to detect and stop these people,” referring to terrorists. “[In] terms of wanting a way to break in, couldn't we tell tech off the record that she had in mind the malware/key strokes idea… Or that she had in mind really super code breaking by the NSA. But not the backdoor per se?” replied Sara Solow, Clinton’s domestic policy adviser. Podesta, who has apparently regained control of his Twitter account, responded on Friday by posting pictures of making risotto – the recipe for which was published in a previous email dump – for the Clinton-Kaine campaign. He also made a dig at WikiLeaks co-founder Julian Assange, who has been trapped at the Ecuadorian embassy in London for several years.